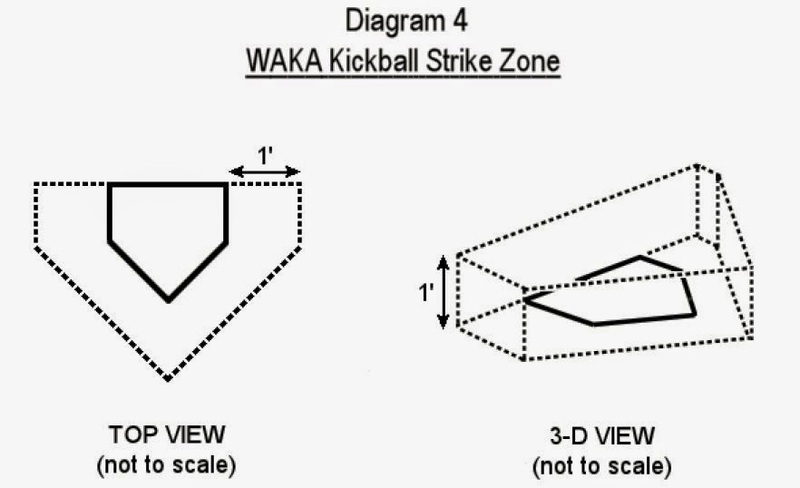 The strike zone is a three-dimensional irregular pentagon based on the shape of home plate and is one (1) foot in height. The front of the zone aligns with the front of home plate. The sides of the zone extend one (1) foot to either side of the plate. The back edges of the zone are one (1) foot from the back sides of the plate (see Diagram 4). The strike zone may not be marked by cones or other raised objects.